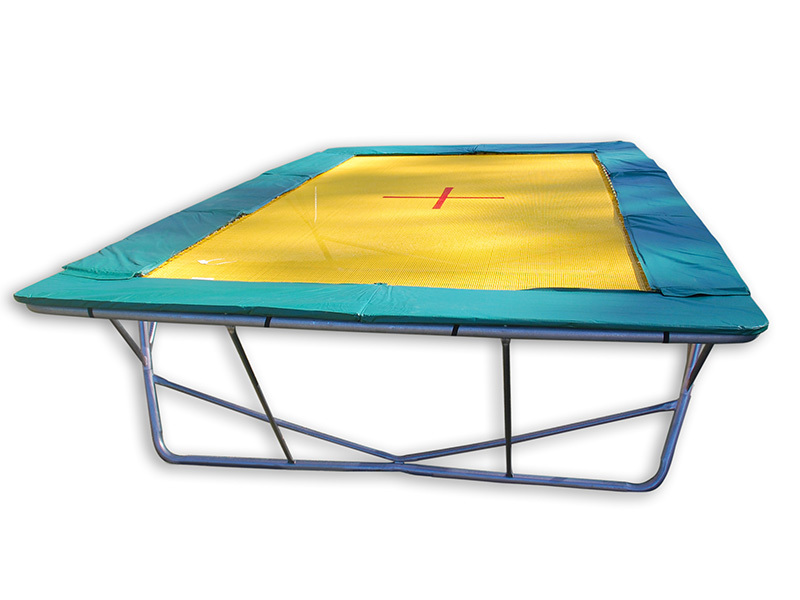 Our In-ground olympic trampolines require that you build your own own pit and a very sturdy retaining wall. Please arrange quotes and construction from your local Builder or Landscape Gardener, who are best equipped to do this sort of construction. Aussie-made here in our Gold Coast Factory! Weight capacity of this trampoline is 150 kg. 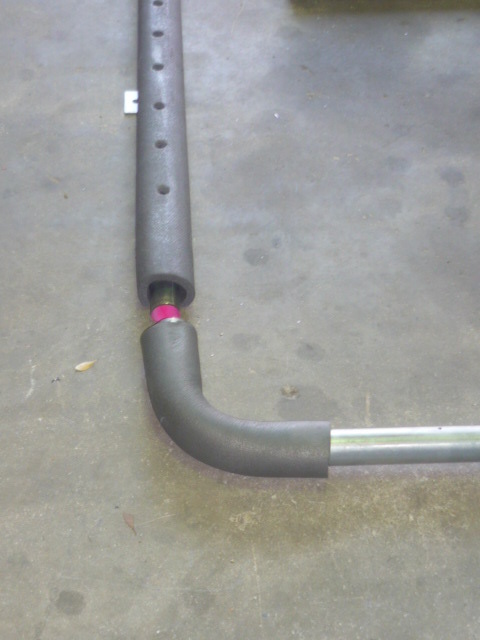 The in-ground frame is Aussie-made, galvanised steel, round tube 2.3 mm thick and 50mm diameter. 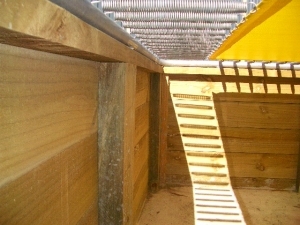 Outer tube measurement – length 5.00 m x width 2.80 m (must sit on top of retaining wall). 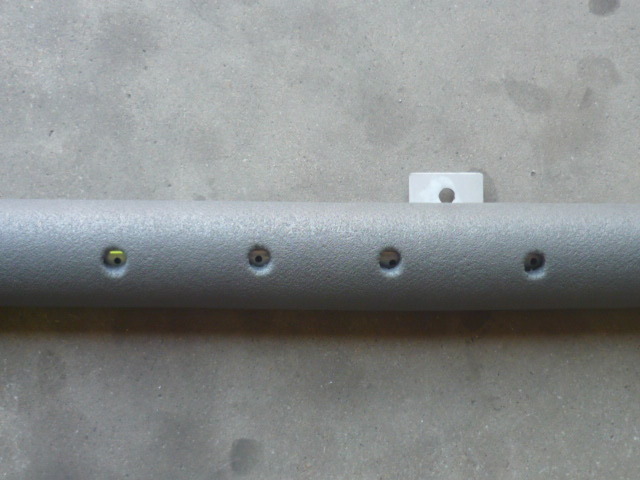 With 16 welded lugs around the outer edge – another 40 mm. These bolt DOWN into the top of your retaining wall. The long sides have 37 springs each, and the short sides have 19 springs each. 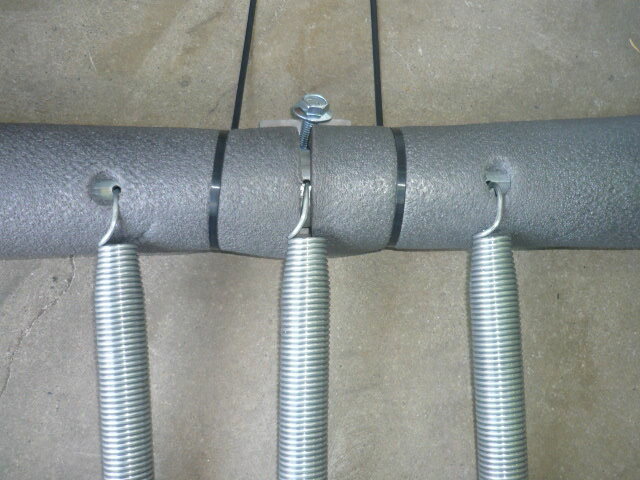 Total of 112 x 10 inch springs. The pit must be at least 1m deep. The top edge of the retaining wall must be MINIMUM 120mm wide to accommodate the 50mm round tube plus 40mm lugs, which must sit on top of a very sturdy retaining wall and bolt down. 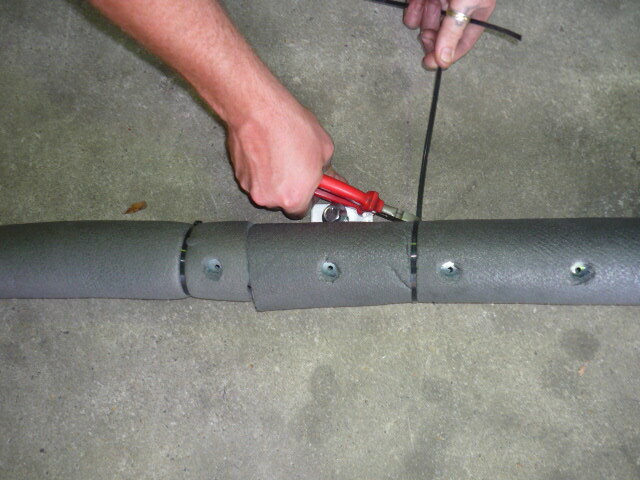 TOPLINE TRAMPOLINES ACCEPTS NO LIABILITY OR RESPONSIBILITY FOR INCORRECT MANUFACTURING OF THE PIT (HOLE) . Retaining Wall needs to be well built and strong, according to your individual soil type and well clear of garden beds, trees, etc. Preferably with drainage at bottom of hole, depending on soil type, to prevent hole filling up with water. 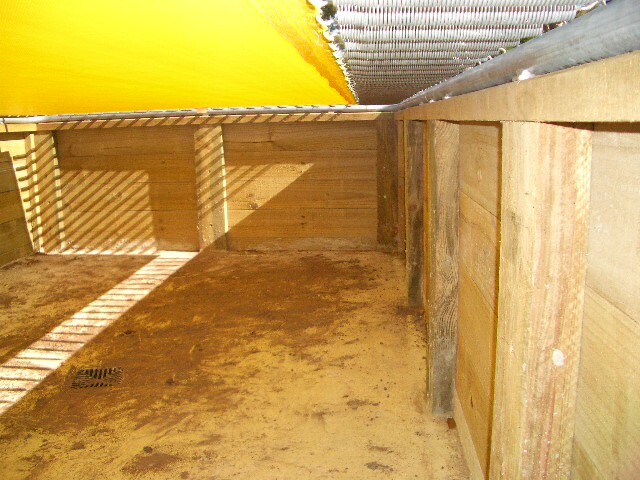 Frame sits on retaining wall. See the lugs around the edge which bolt down into the top of retaining wall. This model also comes with a black polymesh mat and probably better for an in-ground application because it is more “family friendly”. Combined with our quality frame and 112 Ten inch aussie springs, it will give a much higher bounce than any regular backyard trampoline. We use Marine Industrial thread for the hem, the stitching should last up to 7 years. 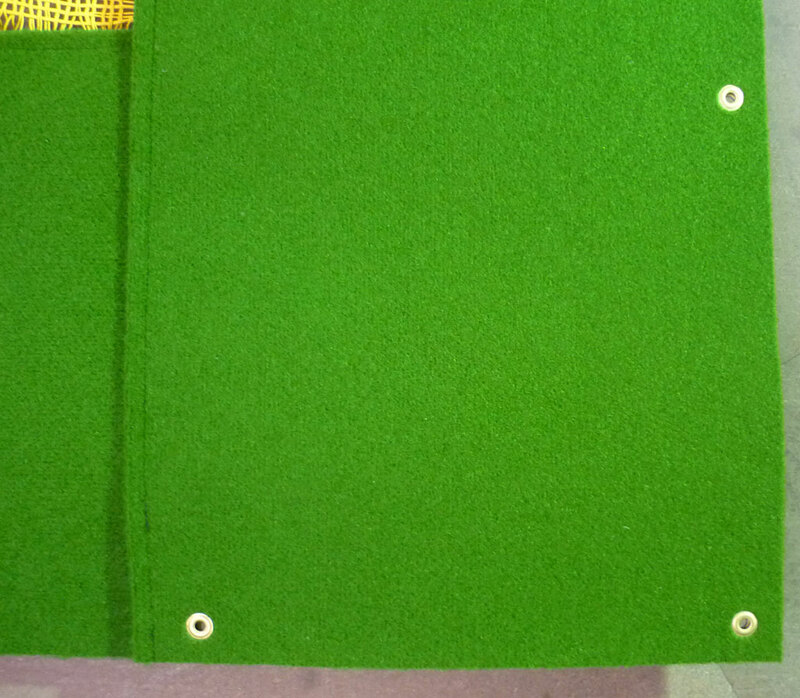 $250 – Imported high-density foam pads, with green PVC UV material cover. 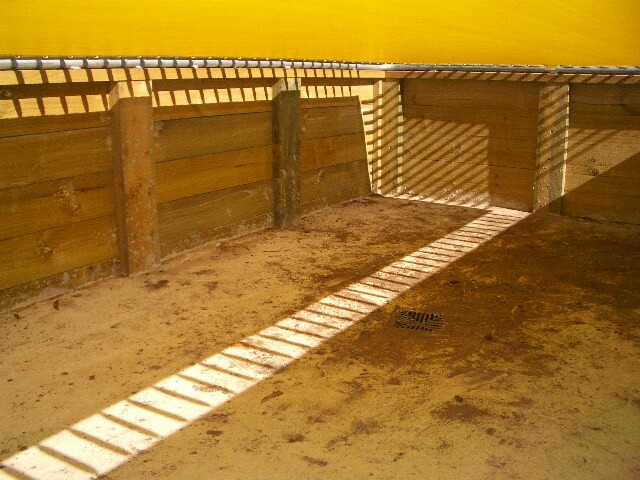 Our pads do not affect the airflow for In-ground applications. 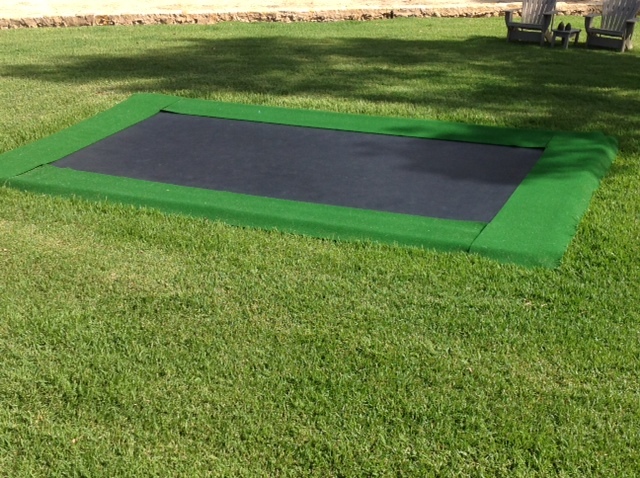 Spring pads cover the springs and frame of the trampoline and offer some degree of protection from injury and also act as a visual enhancement for the jumping mat. They tie together and also tie onto the frame. 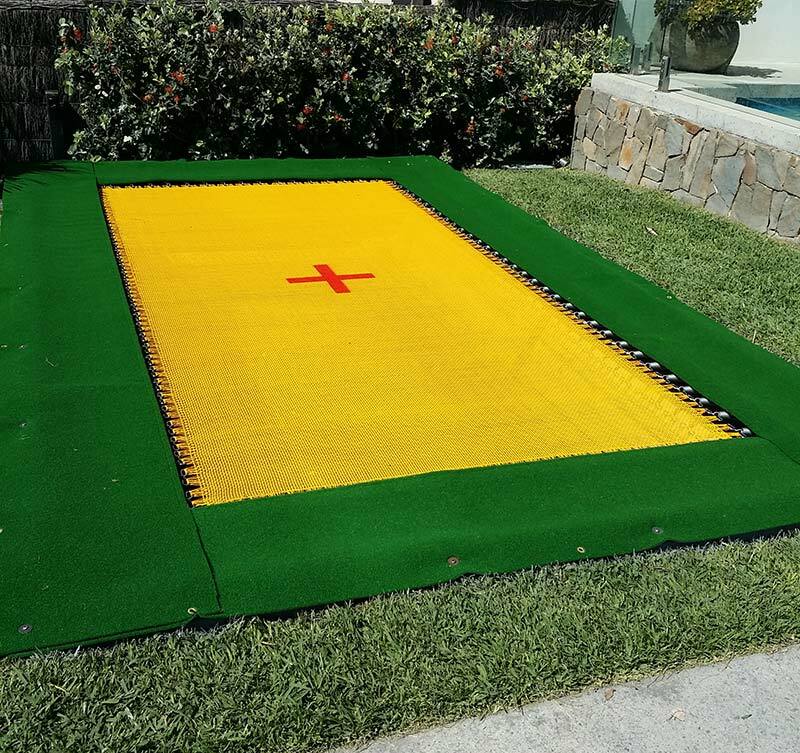 Both are suitable for Black Poly or Yellow 2 String Mat trampolines. Please Note! The Marine Carpet Strips only go 10 cm past the edge of the frame. Before use, it’s very important that these instructions are read and fully understood. Allow only one performer at a time on the trampoline. (two or more performers create additional risks of injury that may result from collisions, being bounced off the trampoline and unexpected responses from the trampoline mat). Do not allow any bystanders / on-lookers to sit on (or lean against) the trampoline frame (whilst the trampoline is in use) or interfere with the performer using the trampoline. Carry out a safety check on the trampoline and surrounding area to ensure that all components of the trampoline (- frame, springs, mat and padding) are in good repair and properly fitted. Also check there are no obstructions overhead, underneath or surrounding the trampoline, before use of trampoline is allowed. Ensure the trampoline is free of any debris. Use the trampoline only with mature, knowledgeable supervision. Do not use the trampoline when under the influence of drugs or alcohol. Remove heavy footwear – shoes, boots etc. Remove all loose articles from your person (eg jewellery, spectacles, false teeth, coins etc.). Climb on and off the trampoline. Do not bounce off the trampoline onto the ground. Do not use the trampoline as a springboard to or from other objects. Learn the fundamental bounces and body positions thoroughly before attempting any advanced manoeuvres. Avoid bouncing too high or for too long. Maintain control at all times. Focus your eyes on the trampoline. Stop your bounce by flexing your knees as your feet come into contact with the mat surface. Always bounce in the centre of the mat. Do not use the trampoline in wet or windy conditions. Do not attempt or allow advanced manoeuvres (eg somersaults), without professional training, additional safety equipment and strict supervision. Secure the trampoline against unauthorised and / or unsupervised access. If you have any questions on trampolines, please don’t hesitate to contact us. 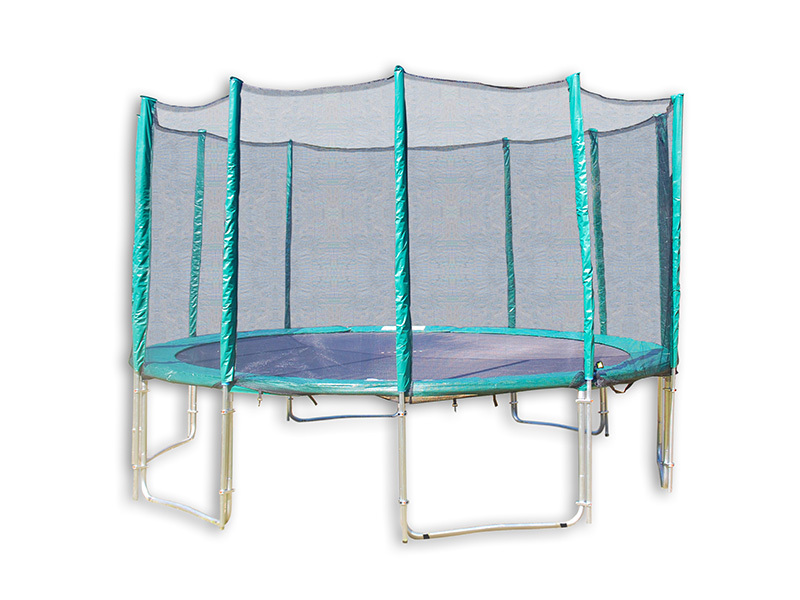 Choose our Topline Brand Trampoline – quality products with all replacement parts. Keep in mind, parts availability is an important factor when choosing a brand of Trampoline because 99% of all brands are now imported with only basic backup parts available. 2 years on yellow 2 string mat (current rubber-based). 3 months on blue pe spring pads. When your trampoline is not going to be used for a long period it is best stored out of the weather if possible. Your trampoline mat always has a use, when it has served its time on the trampoline, don’t throw it away. It makes excellent weed matting in the garden, under your chip bark etc. If it’s not too hard to handle, your trampoline can be turned on its side (rectangle only) secured and used as a giant chalkboard. Spring / frame pads not only help prevent injury but serve as a visual witness to identify the boundaries when bouncing. Usually they are a bright definitive contrasting colour to the black mat and the surrounding ground colour.